Cloudflare provides security and domain name services for millions of the most prominent sites on the web. The company has built a solid reputation for its secure encryption and one of the key factors in its system is a wall of 100 lava lamps in the lobby of its San Francisco headquarters. Prolific YouTuber Tom Scott visited the home of the lava lamps for this video that explains why a bunch of cheap lava lamps play an integral role for a company that protects around 10 percent of HTTP and HTTPS requests. The most simple explanation is that a lava lamp is a great way to generate randomness. Coding just isn’t great at generating random numbers because, at its heart, code requires a system to mimic chaos. The best encryption has a truly random key so it’s more difficult for a bad actor to guess how to break the cipher. 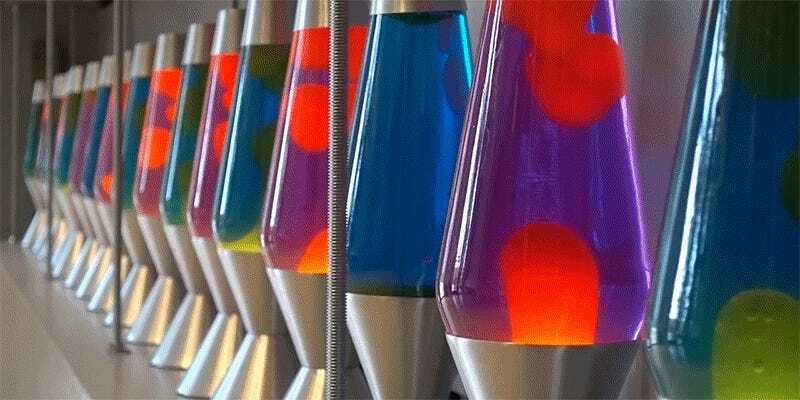 Cloudflare videotapes its wall of colorful constantly morphing lava lamps and translates that video information into unique cryptographic keys. You might think that someone could just arrange the same lava lamp specifications and video camera to start picking apart the security company’s keys but that’s simply not the case. Nick Sullivan, Cloudfare’s head of cryptography, explains why this setup is so truly random and some of the other methods his company uses to keep things completely unpredictable in the embed below.